KD. Katie. Zombie. A common street name for a variety of drugs, KD has taken on a frightening form on Indianapolis' east side. Indianapolis firefighter Scott Lebherz told IndyStar this variation of KD can take many forms — marijuana, spice, tobacco, even banana leaves — but shares a common trait: all laced with a heavy-duty bug spray, like Raid. 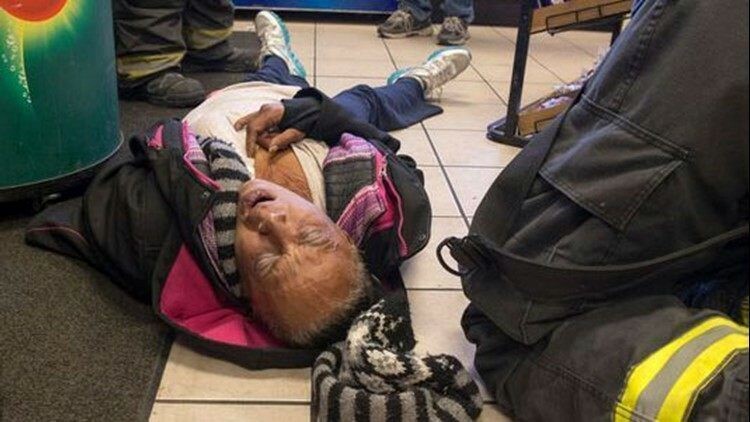 A woman, who had passed out in a convenience store, is suffering from tell-tale signs of the local street drug KD, made from bug killer, in Indianapolis, in November. In January personnel from Indianapolis Emergency Medical Services, the Indianapolis Fire Department and the Indianapolis Metropolitan Police Department responded to dozens of overdoses in or around Downtown’s Wheeler Mission. At least 17 guests were believed to have overdosed on "Katie" — another mix of spice and an unknown chemical or drug. 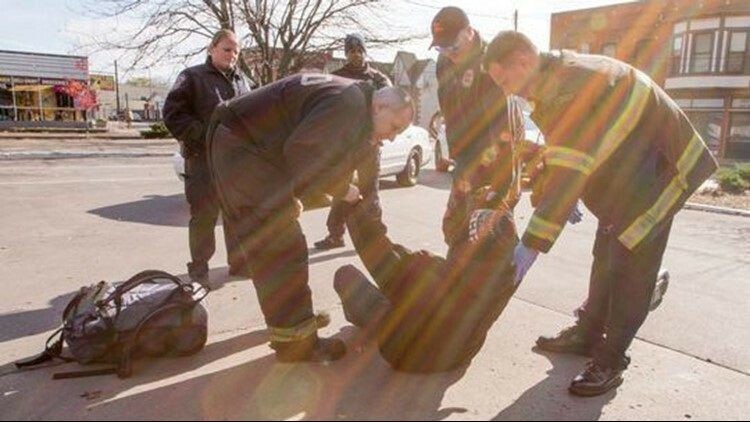 A man is helped off the ground, suspected of being on KD, a local drug involving bug spray being applied to a cigarette of some kind, in Indianapolis, last November. Last year, a Tennessee man admitted to smoking a mix of methamphetamine and bug spray called "wasp" before ransacking a family's home and trying to cut himself at the family's dinner table in front of a woman and four children, NBC26 reported. In Monroe County, Mississippi, authorities last year observed a trend of residents crystallizing wasp spray and injecting it intravenously, a fix called "hotshots," NewsMS reported. Raid’s active ingredients, pyrethroids, are generally considered to be safe in small exposures, Rusyniak said. Exposure to high concentrations could induce respiratory distress and neuroexcitations, leading to sweating, muscle spasms or seizure, and the risk of falling into a coma. "It’s why we use it on bugs," he said, "because it overstimulates the bug, they have the equivalent of seizures and die."